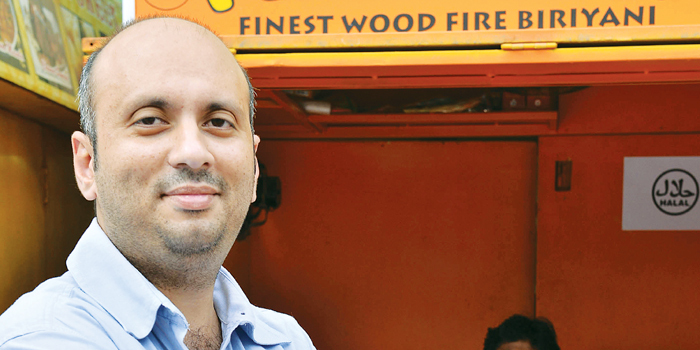 Ita��s no surprise that Murad Shahuna chose a biryani kiosk when he and partner Sini Unnikrishnan decided to start a food business. This self-confessed a�?biryani freaka�? is quite serious about his brand of spice. a�?We offer only firewood biryani that you would get at weddings,a�? he says about his month-old venture, Fill Belly. You can either get it delivered (within a five km radius) or pick up your packet from the kiosk in Mogappair West. Their kitchen in Royapuram makes three types of biryani a�� mutton, chicken and vegetable a�� and pepper chicken and chicken 65 for sides. Therea��s also a rich bread halwa for the sweet toothed, with mutton samosas coming up soon.